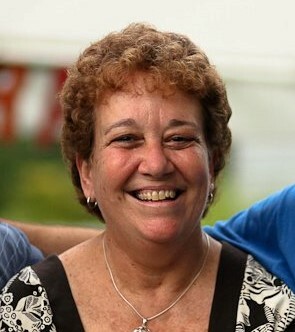 DAVENPORT, Vickie Lynn Martin; 61, of Mechanicsville, Virginia, went to be with the Lord, Friday, February 8, 2019, at home surrounded by her family. She was preceded in death by her father, Marion Walker Martin, and mother, Geraldine Agee Martin. Vickie is survived by her son, Timmy Davenport (Janee); his father, Lawrence Davenport and beloved grandchildren, Madeleine and Walker; and many other close family and lifetime friends. Vickie was a member of Gethsemane Church of Christ and a school secretary at Chickahominy Middle School for the past 19 years. The family will receive friends Tuesday, February 12, 2019 from 3-5 pm and 6-8 pm at Monaghan Funeral Home, 7300 Creighton Parkway, Mechanicsville, Virginia 23111. A funeral service will be held at 2 pm, Wednesday, February 13, 2019 at Gethsemane Church of Christ, 5146 Mechanicsville Turnpike, Mechanicsville, Virginia 23111 with interment to follow at the church. In lieu of flowers, donations can be made to Gethsemane Church of Christ or to St. Jude Children’s Research Hospital.